The effort is designed to put a human face on Trump’s immigration and refugee policies — and perhaps steal a bit of the spotlight from the president’s big speech. Though it’s unlikely to resonate much beyond Tuesday night, members said doing something is better than nothing. Langevin started urging fellow Democrats to invite guests affected by Trump’s policies when the administration unexpectedly rolled out a travel ban for seven Muslim countries. Trump has since said he’ll issue a similar executive order that can withstand legal challenges soon. “We’re trying to not just tell the president, but we’re trying to tell the country, apparently tolerance and justice issues require ongoing lessons,” Rep. Mike Quigley (D-Ill.) said. Quigley is one of a handful of members inviting a so-called “Dreamer,” an undocumented immigrant brought here as a minor, to Trump’s speech. Reps. Jerry Nadler (D-N.Y.), Jared Polis (D-Colo.) and Mark Pocan (D-Wis.) are also bringing Dreamers as guests. Hundreds of people attended two separate events in Providence on Saturday where activists spoke out against President Donald Trump. On Saturday morning, members of Rhode Island’s congressional delegation hosted a “Protect Our Care” rally at Rhode Island College in Providence. “This delegation, we hear you. 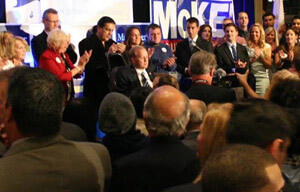 We hear you and we’re ready to fight for you,” said Congressman Jim Langevin. At Hope High School in Providence Saturday afternoon, a group called “Resist Hate RI” hosted a community meeting. People who are anti-President Trump attended workshops focusing on several issues. This was the fourth community meeting event the group has held. said Craig O’Connor, Rhode Island Director of Public Policy and Government Relations with Planned Parenthood of Southern New England. Organizers say the purpose of the event was to educate people about getting involved with political activism. According to organizers, approximately 800 people attended the community event at Hope High School. WASHINGTON — A House Democrat has introduced a resolution calling for a joint House and Senate committee on Russian interference in the 2016 election. Rhode Island Rep. Jim Langevin introduced the resolution Tuesday afternoon to consolidate several different investigations into foreign interference in the election already in progress in Congress. Several committees in Congress have already said they are investigating. The need for this joint committee has grown more urgent given Gen. Michael Flynn’s resignation from the role of national security adviser in President Donald Trump’s administration, Langevin said. Democrats have been calling for an independent, nonpartisan commission since December —legislation that Langevin said he would support in addition to the joint committee he is hoping to establish— but have failed to get Republicans on board with the idea. In the House, Republicans have said they think more investigation into the matter would be redundant. In addition to the House’s intelligence committee, the Senate’s foreign affairs and armed services committees and the Senate Judiciary Subcommittee on Crime and Terrorism are also looking into the matter. In the Senate, there are Republicans who say the growing number of congressional arms looking into Russia is growing cumbersome. 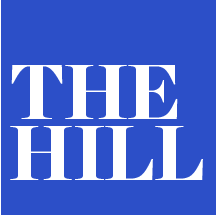 A number of Republicans have already dismissed the idea of a bicameral commission, including House Majority Leader Mitch McConnell, Speaker Paul Ryan and chairman of the House intelligence committee Rep. Devin Nunes. “It just makes so much sense to do this in a comprehensive, streamlined way since it’s already happening right now in a disjointed way,” Langevin said. He added he has had preliminary discussions with senators. The resolution says the joint committee would be made up of 16 members, four from both parties in the House and Senate. The committee would be authorized to call hearings and would have access to relevant materials. WEST WARWICK — Community members joined together Saturday to celebrate the West Warwick Public Library’s successful 50 years of service to the local community. On Feb. 20, 1967 the institution opened its doors to the public for the first time, marking the beginning of a period of great progress in the town. Local officials made appearances throughout the day, including town manager Fred Presley, Congressman James Langevin and Chief of Library Services for the RI Department of Administration Karen Mellor. Langevin presented library director Tom O’Donnell with an honorary citation to commemorate the milestone. In a brief speech, Mellor recalled some of the history behind the library, noting the original group of individuals who served as the Directors of the West Warwick Central Library Association and their dedication to creating a centralized library in town. Mellor said that when the library first opened in 1967 it received one of the first library construction grants offered by the state as well as federal funds through the Library Services and Construction Act. The state contributed half the cost in the 1990s to renovate the building, more than doubling its size to what stands today. Congressman James Langevin congratulated the town on what he called “an incredible milestone.” He noted that when Rhode Island last held a constitutional convention voters approved an amendment calling for the continued mandate and support for libraries which remains in the constitution to this day. “It’s very clear that when voters in Rhode Island approved that amendment, and they did not have to, they saw the value of libraries and their importance to our communities and families,” Langevin said. He added that he felt libraries would always be relevant and worthy of investment despite the changing technological landscape. Langevin called libraries “the great equalizer” of communities, drawing in all walks of life, and said that librarians and library staff will always be necessary components. The day was filled with festivities including Burkina Yacouba, who performed African tribal music on the Kora, a traditional African instrument with 21 strings. Face painting was provided by Kathi Martey with Kathi’s Creative Faces and music was provided by Joe’s Backyard Band and the Superchief Trio, a jump-blues and swing band. The Chorus of Kent County Women’s Auxiliary performed a number of pieces and led the community in a special rendition of “Happy Birthday” before cutting into a book-shaped cake provided by Matos Bakery. When President Trump addresses a joint session of Congress for the first time on Feb. 28, Dr. Ehsun Mirza of East Greenwich will be Congressman James Langevin’s honored guest. Mirza, a critical-care doctor at Kent Hospital who immigrated to the U.S. from Pakistan, has been a prominent voice in Rhode Island’s Muslim community. He is on Langevin’s Diversity Advisory Committee and Providence Mayor Jorge Elorza’s Muslim-American Advisory Board. Langevin has invited Mirza as part of a Democratic effort to show support for “marginalized communities” by inviting guests who have — despite discrimination — made positive impacts. Joining the Langevin-led effort are Representatives David Cicilline (RI), Jared Polis (CO), Judy Chu (CA), Cedric Richmond (LA), and Michelle Lujan Grisham (NM). Cicilline expects to name his guest later this week or next, a spokesman said. Israel’s standing as a global cybersecurity powerhouse advanced in recent weeks, with the U.S. House of Representatives passing new legislation that would improve American-Israeli cooperation in that sector. “Cybersecurity is the preeminent national security issue of the Information Age. 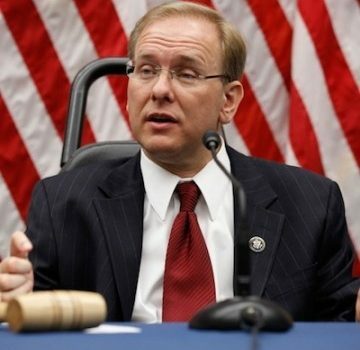 Working together with our allies will be essential to preserving our collective defense in this new domain,” U.S. Rep. Jim Langevin (D-R.I.) told JNS.org. “Israel is already a leader on cybersecurity, and by enhancing collaboration, we will be able to push the frontiers in protecting our respective homelands,” he said. U.S. Rep. John Ratcliffe (R-Texas) and Langevin introduced the United States-Israel Cybersecurity Cooperation Enhancement Act of 2017 (H.R. 612), which passed in the House Jan. 31. The measure creates a cybersecurity grant program for joint research and development projects. Under the legislation—which resulted from a visit to Israel last May by a congressional delegation including Ratcliffe and Langevin—the secretary of homeland security would determine research parameters with an advisory board of American and Israeli members. The legislation’s advancement comes as cybersecurity is one of the world’s fastest-growing security fields—not just for governments, but also for terrorist groups. In January, Israeli security authorities revealed a Hamas operation on social networks attempting to lure Israel Defense Forces soldiers into downloading viruses by using fake accounts with pictures of attractive young women. A number of soldiers fell for the trick and downloaded the viruses. The Hamas-funding nation of Iran, meanwhile, tested its cyberwarfare systems in a Feb. 4 drill that intended to “showcase the power of Iran’s revolution and to dismiss the sanctions” that the U.S. levied against the Islamic Republic a day earlier, according to Iranian Revolutionary Guards Corps website. Steven Stalinsky, executive director of the Washington, D.C.-based Middle East Media Research Institute, which monitors jihadist activity online, told JNS.org that the new legislation is an important development for bilateral relations in the cybersphere. “Israel and the U.S. share the same enemies in the cyber realm, consisting of both jihad groups as well as hacktivist groups associated with the likes of [the international hacker network] Anonymous, who also target the Jewish community worldwide online,” said Stalinsky. Gabi Siboni, head of the Cyber Security Program at the Institute for National Security Studies in Israel, told JNS.org that cooperation in the constantly changing cybersecurity sector is not Israel’s most important partnership area with the U.S., with the top areas remaining intelligence and other forms of defense cooperation, yet cybersecurity ties are rising in importance. Israel Aerospace Industries (IAI), the Jewish state’s largest aerospace and defense company, is adapting to that shifting landscape. The company announced this month that it is making significant gains in the cybersecurity field, with contracts totaling more than $100 million in 2016. IAI created a cyber division, appointing Esti Peshin as its general manager, and works on cyber-related solutions in the technology areas of intelligence, monitoring, identification and combating cyberthreats. Israel hosted Cybertech 2017, the world’s second-largest cybertechnology exhibition, from Jan. 30-Feb. 1 in Tel Aviv. Israeli Prime Minister Benjamin Netanyahu told the gathering that it is “no coincidence that you are here in Israel” and “not an accident” that the Jewish state is a world leader in cybersecurity. As they deepen their cybersecurity ties, Israel and the U.S. may also be well-served to keep an eye on regional developments such as the ongoing Iranian-Saudi cyberwar. According to a recent report by the McClatchy chain of American newspapers, Iran and Saudi Arabia “have been lobbing digital artillery fire at each other in a simmering conflict” that started when Iranian hackers destroyed more than 30,000 computers belonging to the Saudi Aramco energy company. The cyberwar flared up in January, with Saudi Arabia issuing an “urgent call” to domestic network systems operators to be on alert for Iranian cyberattacks. A bipartisan slate of representatives with cybersecurity chops is pressuring President Trump’s top national security adviser, Michael Flynn, to change an export agreement many believe weakens international cybersecurity. The Wassenaar Arrangement is an annual nonbinding agreement among around 40 nations that creates export policies for civilian technologies with military uses. In 2013, Wassenaar made efforts to add militarized spyware to that list. But the rules did not take the subtleties of cybersecurity into account, and some of its restrictions can prevent the sharing of cybersecurity research and information about threats. In 2015, 125 members of Congress wrote a letter to national security adviser Susan Rice to pressure the State Department to renegotiate the arrangement. On Friday, seven key representatives sent a letter her successor, Flynn, to do the same. “The U.S. stands only to disadvantage itself strategically and economically against foreign competitors by subjecting its firms to the administrative burden involved in applying for an export license each time they wish to conduct simple information sharing activities with international subsidiaries, partners, or clients,” reads the letter. Signing the letter were Rep. Jim Langevin (D-R.I.), co-founder and co-chairman of the Congressional Cybersecurity Caucus; Reps. Cedric Richmond (D-La.) and John Ratcliffe (R-Texas) of the House Homeland Security subcommittee on cybersecurity; House Homeland Security Committee Chairman Michael McCaul (R-Texas) and ranking member Bennie Thompson (D-Miss. ); House Oversight Committee Chairman Jason Chaffetz (R-Utah); and Rep. Will Hurd (R-Texas), chairman of the Oversight subcommittee on information technology. The House initially pushed for Rice’s involvement because the State Department appeared hesitant to renegotiate an agreement already implemented in nearly all of the other Wassenaar countries. In 2016, State renegotiated the rules, but critics felt the changes left many of the same problems as the 2013 version. The letter says Flynn should quickly reconvene an interagency force to develop a firm stance for Wassenaar’s 2017 plenary. Action is urgent, it says, because proposals for agenda items are due this month. The representatives ask Flynn for an update no later than Friday of next week. Rhode Island lawmakers commended the 9th Circuit Court of Appeals’ decision to continue to block President Donald Trump’s travel ban Thursday night. The travel ban affecting seven predominantly Muslim countries drew criticism from voters and lawmakers across the country. Protests erupted in Logan International and airports across the country the weekend of the ban’s rollout, questioning its constitutional merits. President Trump defended the executive order in a series of tweets arguing the need to keep the country safe from terrorism. Lawmakers like Sen. Sheldon Whitehouse said it did the opposite. “If anything, it [travel ban] gives terrorists a convincing sales pitch to new recruits, that the President’s religious test is evidence that America is a hating, anti-Muslim country,” said Whitehouse. The federal appeals court is not the end of the legal battle for the ban. President Trump has already tweeted his intentions to fight the decision in court. For Sen. Reed, Thursday’s ruling is indicative of the executive order’s legal and moral standing. “The President should rescind this executive order and start working toward a more rational policy that will actually make us safer without undermining our principles,” said Reed. PROVIDENCE — “This was a rebuke of President [Donald] Trump’s Muslim ban and a win for our independent judiciary. They made the right call,” said U.S. Sen. Jack Reed Thursday night after a federal appeals court refused to reinstate Trump’s executive order temporarily barring travelers from seven predominantly Muslin countries — and refugees — from entering the United States. U.S. Rep. James Langevin: “Today’s appeals court ruling supports what I know to be true: that President Trump’s executive action is unconstitutional and unAmerican. “We have strong vetting processes in place for immigrants coming to America,” the 2nd District Congressman, a Democrat, said. “The most intense checks are given to refugees — many of whom are women and children fleeing unspeakable violence. The president’s claims that visitors from these Muslim majority nations are pouring into our country with malicious intent are factually inaccurate and serve only to fan the flames of intolerance. Earlier, Reed posted an uncharacteristically sharp retort on Twitter to Trump’s latest round of criticism of Sen. John McCain, R-Ariz.
On Thursday, the appeals court upheld the ruling last week of U.S. District Judge James Robart that placed Trump’s temporary travel ban on hold. While federal immigration law gives the president broad authority, lawsuits across the country have alleged that Trump’s Jan. 27 executive order ran afoul of the Constitution in that it was aimed at Muslims. In my eight terms in Congress, I have seen cybersecurity explode onto the national stage as an issue of paramount importance to our national security. As you begin to craft your legacy in this emerging domain, I encourage you to use the successes and failures of your predecessor to guide your efforts. From my perspective, three characteristics defined President Obama’s approach to cybersecurity across the first six years of his administration: It was centrist, decentralized and incremental.First, Obama pursued a centrist approach on matters of cybersecurity, manifested through the use of multistakeholder processes to set policy. In this model, the government acts as a convener of interested parties to help develop guidance, best practices or other voluntary policies. A prime example is the National Institute of Standards and Technology (NIST) Cybersecurity Framework for critical infrastructure, also known simply as the Framework. Following the issuance of Executive Order 13636 in 2013, NIST spent a year holding meetings with stakeholders to discuss ways to think about cybersecurity risk management. NIST consolidated the feedback, incorporated other practices from existing standards, and synthesized the Framework, which provides broad strategies for identifying, understanding and mitigating cybersecurity risk. As this example also shows, the Obama administration’s approach was largely decentralized: It was up to individual departments and agencies to develop cybersecurity policy. While Executive Order 13636 did call upon NIST to publish a voluntary framework, it sketched out only the broadest of strategic guidance on how it was to be developed. Similarly, although Obama did make his cybersecurity adviser a special assistant to the president, he remained just that: an adviser, lacking independent policy or budgetary authority. The Obama doctrine prior to the Office of Personnel Management (OPM) data breach also emphasized incremental change and capacity expansion. This is clear from the nature of the Framework, which has led to gradual adoption. On the capacity-building side, U.S. Cyber Command is set to become its own full-fledged unit after eight years of development, and the National Protection and Programs Directorate has matured to the point that it is ready to become an operational arm of the Department of Homeland Security (DHS). All of these are important changes, but they are largely the result of gradual evolution. I supported Obama’s efforts throughout his first six years, even if I was frustrated by the pace. In the last two years, however, his administration’s approach began to shift. Part of this can be seen in the priority placed on cybersecurity issues. Chinese economic espionage was a perennial point of contention between our nations; only after the OPM hack was it placed at the top of the agenda. The 2015 Obama–Xi summit resulted in an agreement by the Chinese on certain fundamental norms in cyberspace, and I consider it one of Obama’s biggest achievements in this sphere. But the core tenets of the doctrine itself also began to shift. Capabilities developed throughout his administration began to be used as offensive cyber tactics against the Islamic State in Iraq and Syria. Indictments of hackers in China and Iran, and the identification of Russia as the sponsor of recent attacks against the Democratic National Committee, are examples of our increased ability to attribute attacks. Incremental change also gave way to initiatives like the Cyber Sprint, an effort to identify and secure core assets at federal agencies. The OPM was Obama’s wake-up call that incrementalism could not keep pace with the rapidly evolving threats we face. The biggest change, though, was the move toward greater centralization. The Cyber Sprint was led by the Office of Management and Budget and supported by binding operational directives from the DHS. This was not something that could be left to each agency — that was what led to the OPM mess in the first place. The creation of a federal chief information security officer, the development of a robust national incident response plan, and the creation of a dedicated IT modernization fund are all components of Obama’s Cybersecurity National Action Plan, a central directive that applies across the federal government. I welcomed this new sense of urgency. Obama made it clear that he had no intention of making the same mistake twice, and I think his legacy in cyberspace will be greatly burnished by the last 20 months of increased focus. These achievements were difficult. As you begin your term, I encourage you to take the lessons learned from your predecessor to heart when crafting cybersecurity policy. This means adopting the recommendations of the national action plan and going beyond them. It means ensuring there is an advocate for cybersecurity in the room when budget and policy decisions are made. It means working with Congress to implement existing law on information sharing and to pass new legislation on developing the workforce needed to address these issues and securing the internet of things. Cybersecurity has never been a partisan issue, and I hope it remains that way over the next four years. Langevin is a senior member of the House Armed Services Committee and the House Committee on Homeland Security, and is the co-founder and co-chair of the Congressional Cybersecurity Caucus.